"Brilliant performances!" Tolucan Times Read the full review here! 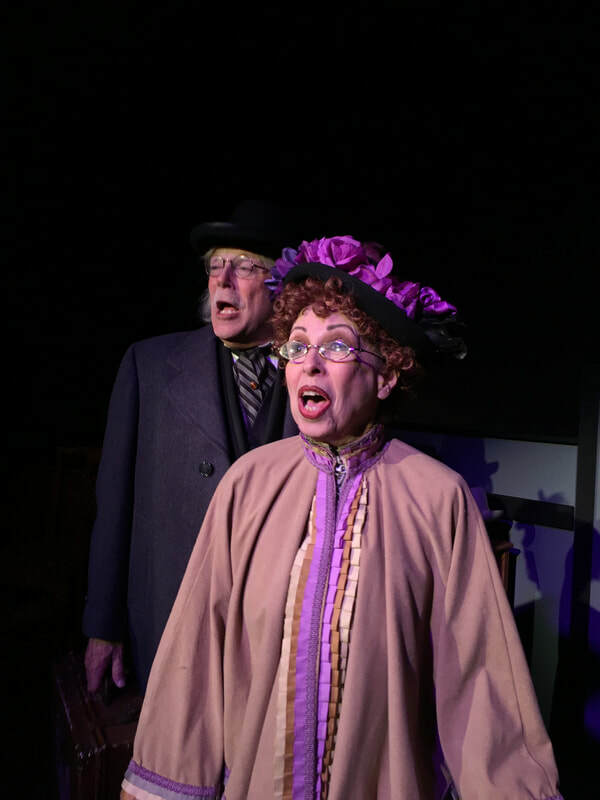 "Happily for audiences, Chris DeCarlo does not act the role of Sholom. 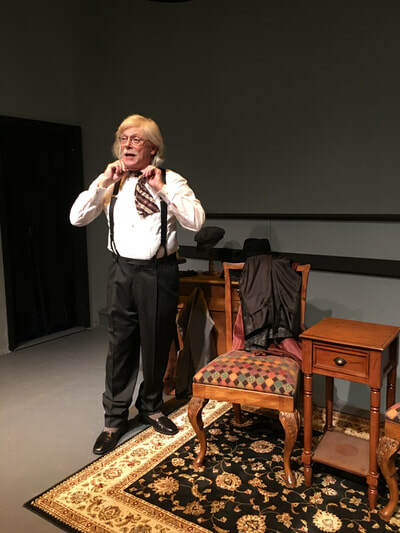 He has become the reincarnation of Sholom as the writer goes on speaking tours touting his works...Set to music, the talented performers from the Santa Monica Playhouse tell his story with compassion, humor, songs, and pure fun." LASplash. Read the full review here! Aleichem Sholom! follows the life of the beloved Yiddish story-teller and his mespoche, spinning tales of his loves and losses, his fame and his failures, his travels, his travails and the tremendous joy and optimism that kept him going against all odds. 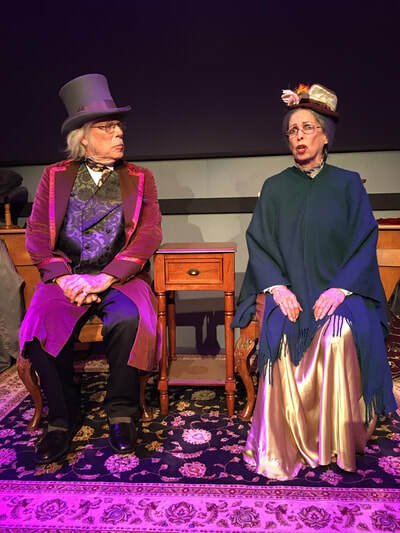 ​Audiences are treated to an in-depth look at the joyous and poignant events that inspired the foolish philosophers, philosophical fools, comical shtetl folk and not-so-comical scoundrels that populated Sholom Aleichem’s world. "No doubt you will be just as captivated as I was..." BroadwayWorld. Read the full review here! Based on Sholom Aleichem’s letters and stories, the controversy surrounding his stories and plays, and his passionate involvement in the creation of a new homeland coupled with the personal recollections of those who knew him first hand, Aleichem Sholom! is written by the internationally acclaimed team of Chris DeCarlo and Evelyn Rudie, with lilting songs by Ben Weisman (57 gold records). 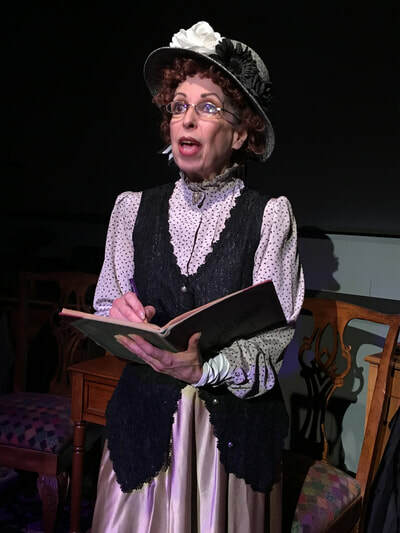 ​It is said that Sholom Aleichem wrote from dawn till dusk, his pen never still, the characters swirling and whirling about in his mind, dancing from his thoughts to the page to the hearts of readers all over the globe. In addition to being the “father of modern Yiddish literature” and one of the most widely read authors of all time, he was also a great lover of music, a lyricist, a poet, a speaker, a mischief-maker, the class clown, a romantic in spite of himself, and a consummate mimic. The new musical stars veteran performer Chris DeCarlo, who once again assays the role of the beloved author, a characterization which has been enjoyed by more than a quarter of a million audience members, and Evelyn Rudie, who has created and portrayed more than three dozen Sholom Aleichem characters in over 2,000 performances to date. "It made me think of the heyday of vaudeville in New York, and how exciting and reassuring it must have felt for dazed immigrants on the Lower East Side to hear the language of their childhoods spoken, the cadence and jokes and zeitgeist. It’s grounding to see this part of our shared past re-created in sunny Santa Monica, whether or not we actually grew up on tales of shtetl life. These stories of inequity and triumph, love and laughter, family and religion are part of our heritage and identity, and connect us to a part of ourselves." Jewish Journal Read the full review here! Special performances of Aleichem Sholom! are available for whole-house theatre parties for weekday matinee or evening performances and select weekend dates. Luncheon or dinner catering services may also be booked in conjunction with these events. For more information, contact us at 1-310-394-9779 ext 623 or Email Us.